I’ve been an avid scooter rider since they first started in DC. I ride them to-and-from work and on occasional short trips all the time. As long as there isn’t snow (yet!) or wet streets, they’ve been an efficient and affordable way to get around. 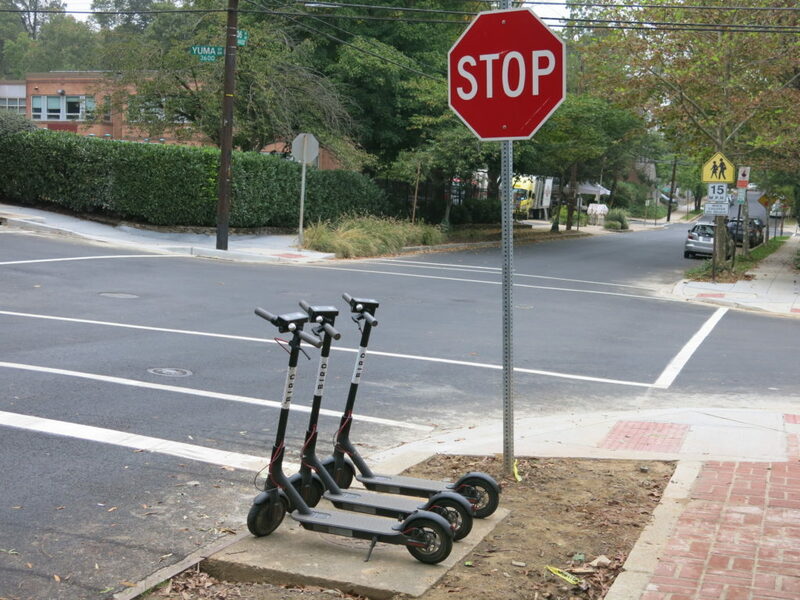 However, I’ve noticed in the past few weeks that more scooters have a safety feature in place that prevents them from going above 10mph. I heard about this policy being implemented, but did this piece really made it through? I’d be interested to see public opinion on this in any case. It may not seem like much, but the difference between going 10mph and 16-18mph in traffic is monumental in terms of being street-friendly. If DC gov. expects these to be ridden in the street (hence the no-sidewalk riding rule) which I understand completely, I just don’t see how it’s possible, when I’m puttering along at a comically slow pace in the face of honking commuters. I suppose it’s better for first-time riders (i.e. tourists) as they are less prone to lose control and speed into an object, but damn. I’d hate to give up scootering for my commute, but it’s been laughably slow lately and I feel silly holding up traffic.